The Internet Archive’s new Historical Software Archive brings old software to your browser through the magic of JSMESS emulation. The Internet Archive has protected and preserved old software for a while now; archivist Jason Scott claimed back in April that the organization possessed the largest historical software collection in the world. 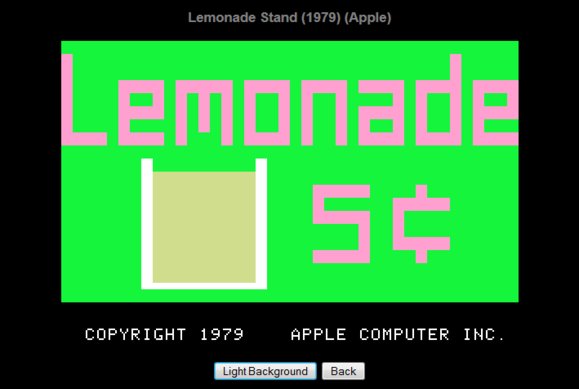 I’m a lemonade mogul. Pure capitalism. Of course, this isn’t the first time someone has emulated old software in a browser. Look around the Internet, and you’ll find plenty of sites that allow you to play Gameboy and SNES games. The difference, presumably, is twofold. One is that the Historical Software Archive is for all types of software—not just games. 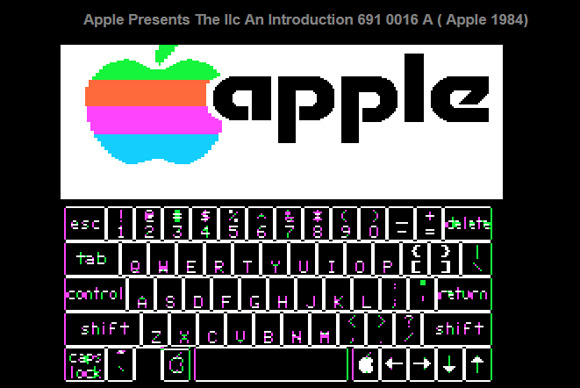 Go ahead and check out Apple Presents the IIc, a series of instructional guides that introduced users to their new computer. 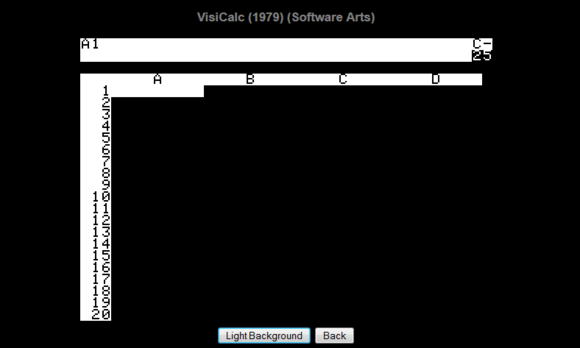 Then make a spreadsheet in VisiCalc, the 1979 Apple II program that pioneered the computer spreadsheet. Spreadsheets from 2013 still look pretty much like spreadsheets from 1979. The second difference is legality. The Internet Archive is a reputable organization with a clean website and a name you can trust. That site where you found all those Nintendo ROMs? Yeah, not so much. The unfortunate problem with legality, however, is it limits your scope. 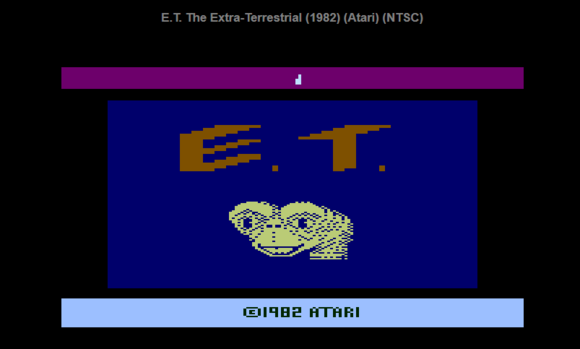 Hopefully more developers will open up their software for emulation through the archive, as it has the potential to make preservation more than an academic exercise. The full list is only 28 programs for now, but expect that number to grow soon. Go home, E.T. Nobody likes you. For now you can always play E.T., the Atari game that reputedly caused the video game industry to crash and burn in 1983—and you can understand why E.T. caused the video game industry to crash. Spoiler: it’s abysmal.